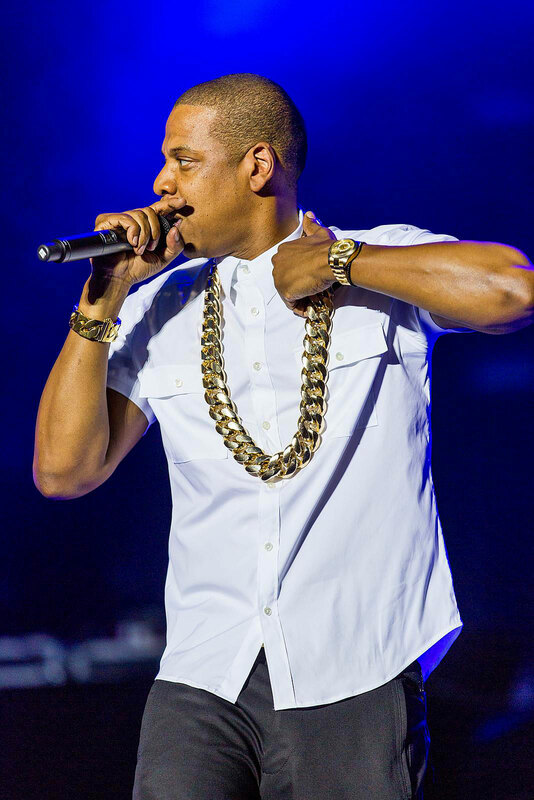 The 60th Grammy Awards list of nominees was released this week, and Jay-Z, an American entrepreneur and hip/hop rapper, is again a top contender. 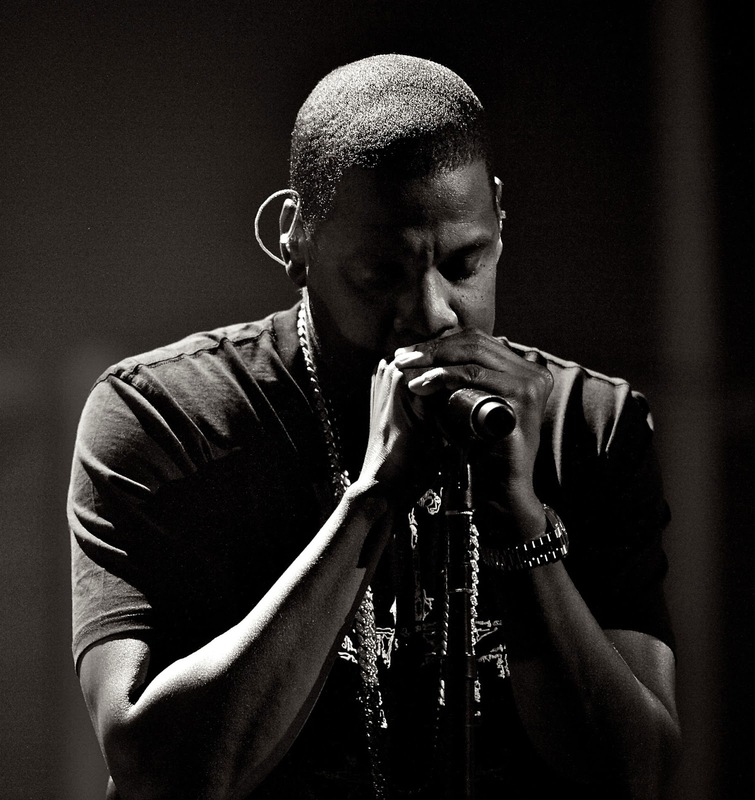 Jay-Z has sold over 50 million albums so far and has already won 21 Grammy Awards. 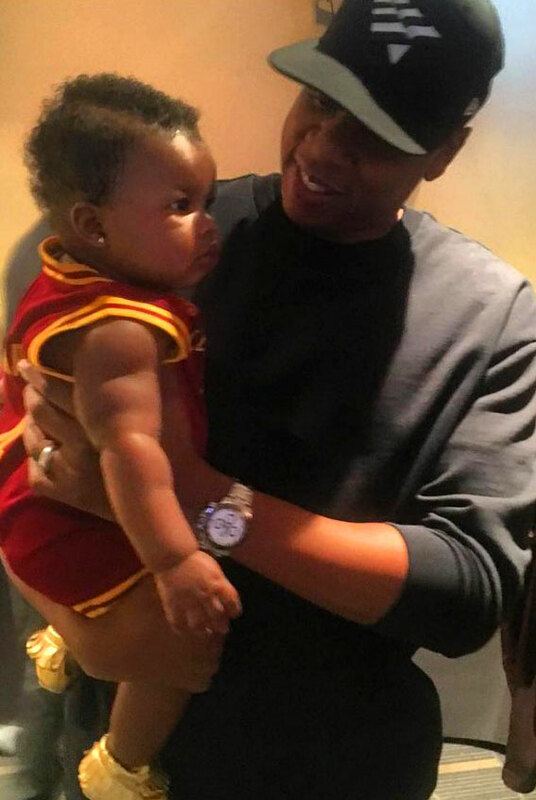 The nomination this week gets him eight nods for the album “4:44,” which mixed dark personal confessions with meditations about race. 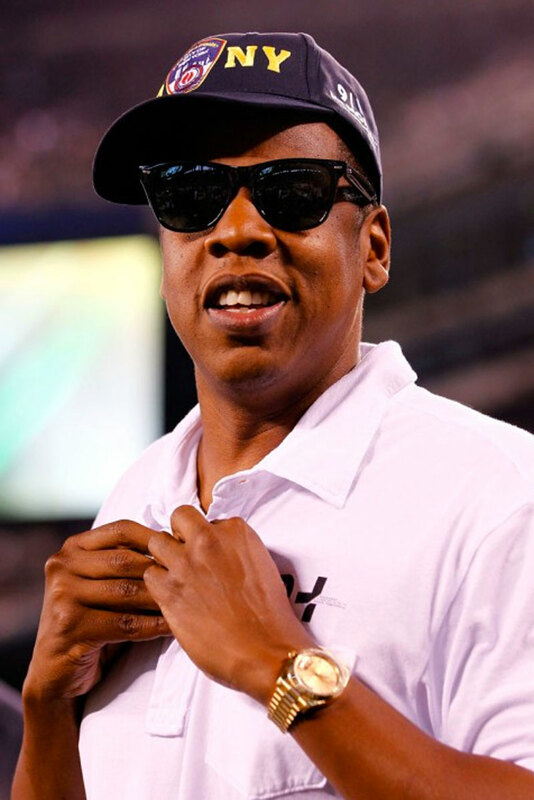 According to Forbes Magazine, Jay-Z is estimated having a net worth of around $810 million dollars and he is one of the owners of the NBA New Jersey Nets. 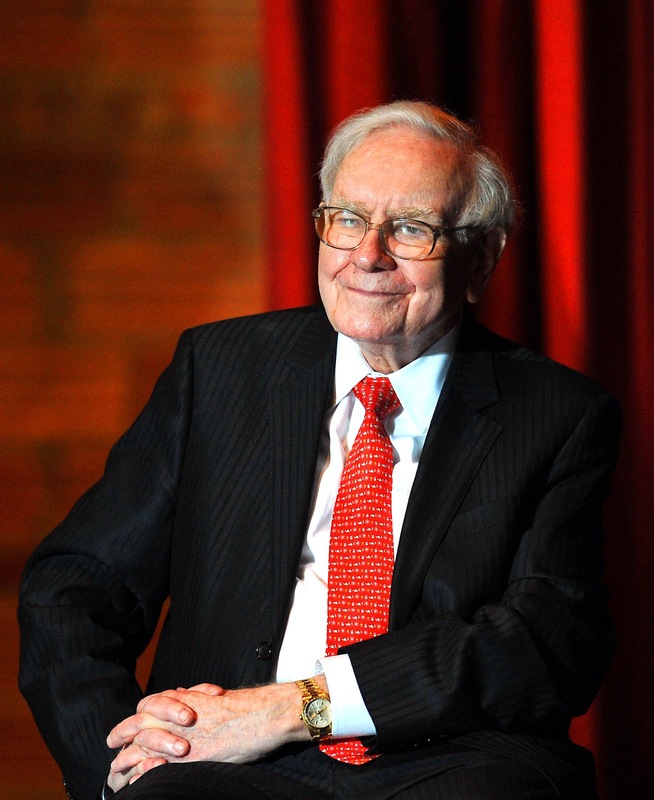 He recently sat down with Dean Baquet, the executive editor of the New York Times, for this interesting interview, and notice he is wearing his platinum Rolex Day-Date. 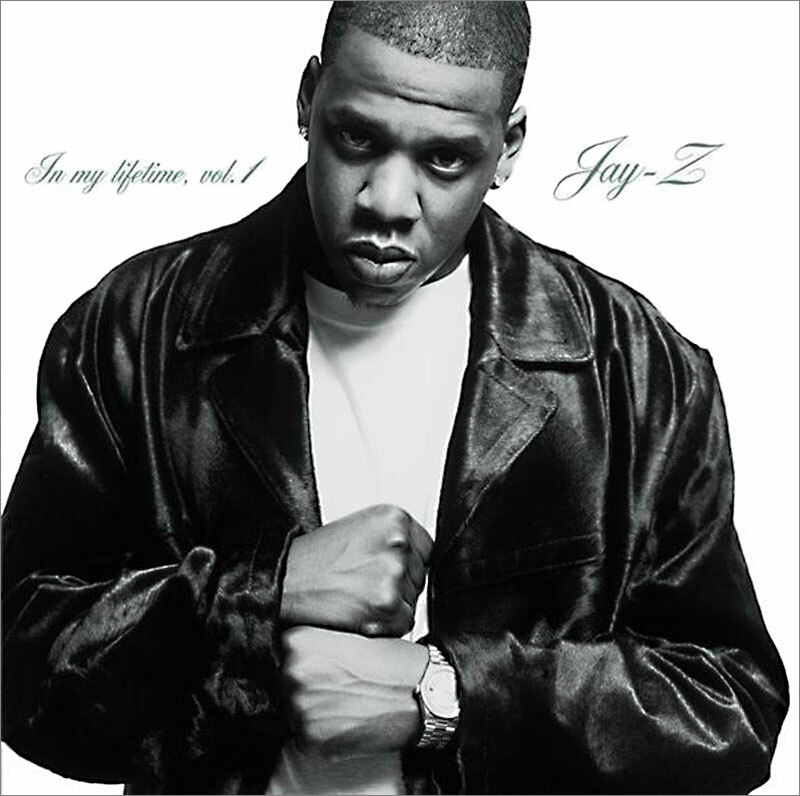 In the photo below we see Jay-Z wearing his trademark platinum Rolex Day-Date in 1997 on the cover of his album named "In My Lifetime." 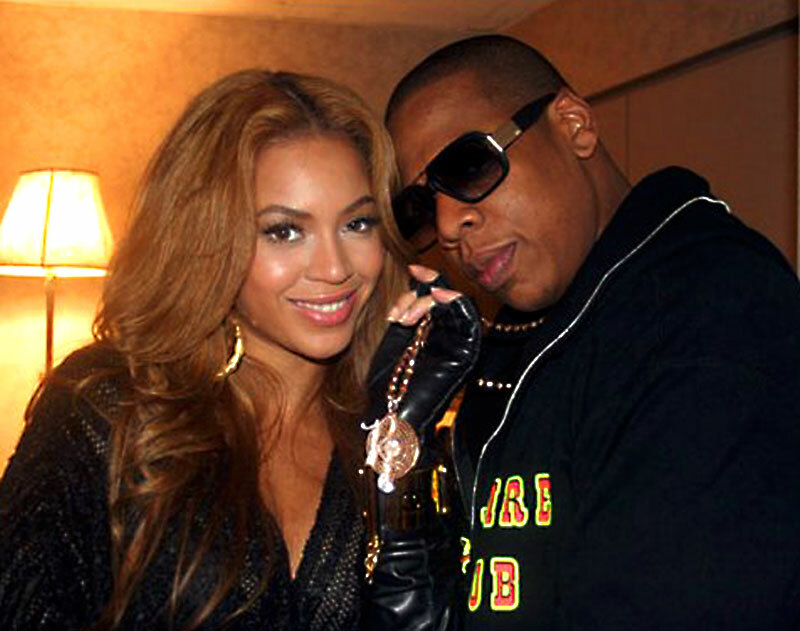 Jay-Z is married to the ultra-talented, and ultra-gorgeous Beyonce Knowles and you see them together below, and notice Jay Z is wearing a new stainless steel Rolex Daytona with a ceramic bezel. 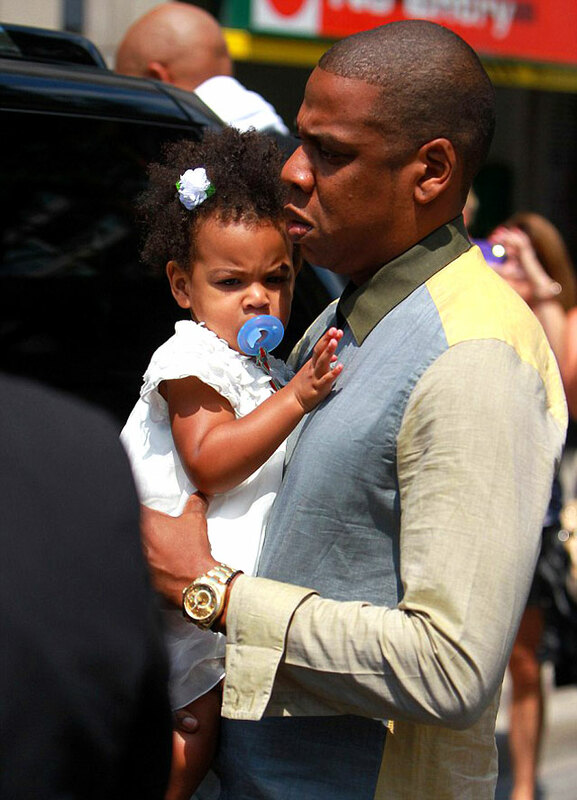 Jay-Z is pictured below with his daughter, and notice he is wearing a Rolex Sky-Dweller. 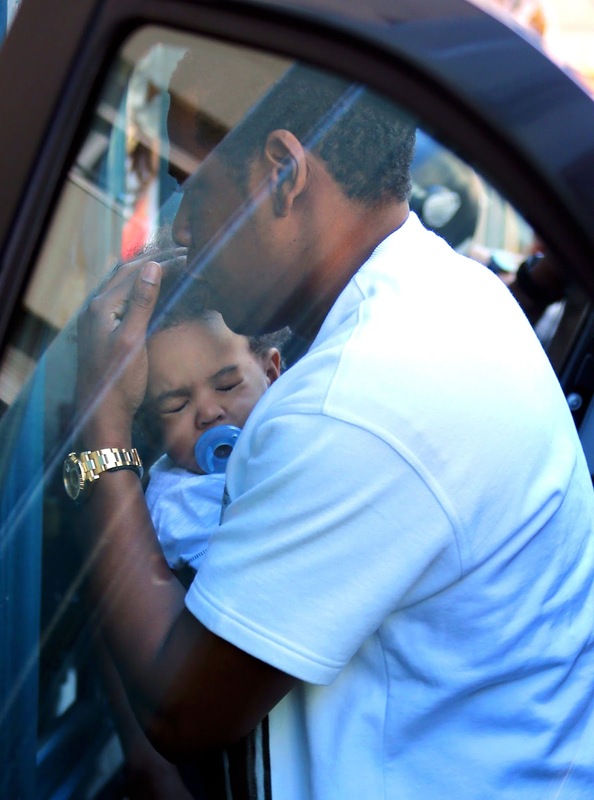 The photo below shows Jay Z holding his son, while he is wearing his stainless steel Rolex Daytona, with a ceramic bezel. 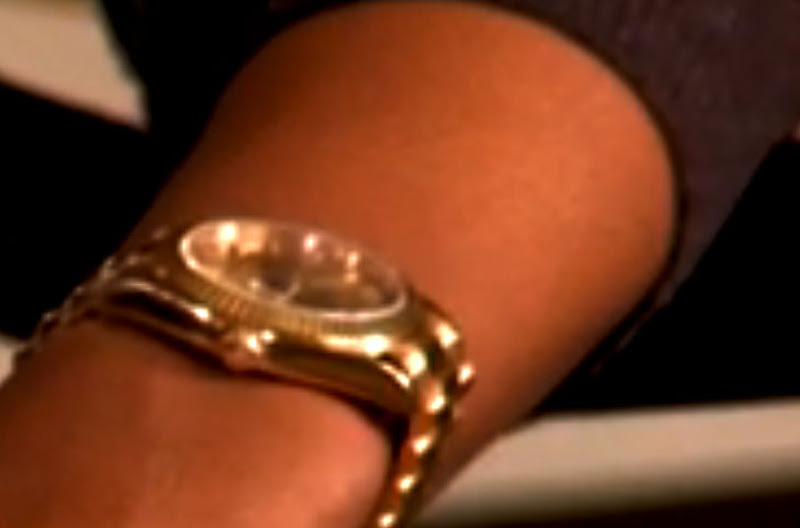 In this next video, we see Jay-Z being interviewed on The Daily Show wearing his all-new Platinum Rolex Day-Date II. In this recent interview (below) we see Jay-Z wearing a different yellow gold Rolex Day-Date II. 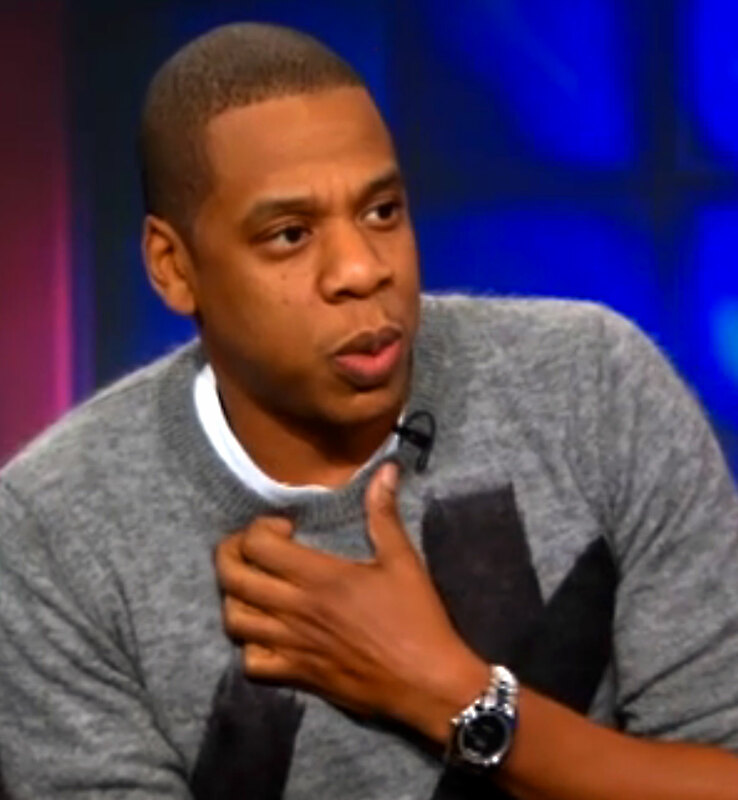 The video below is a fascinating CNN interview with Jay Z from 2011. 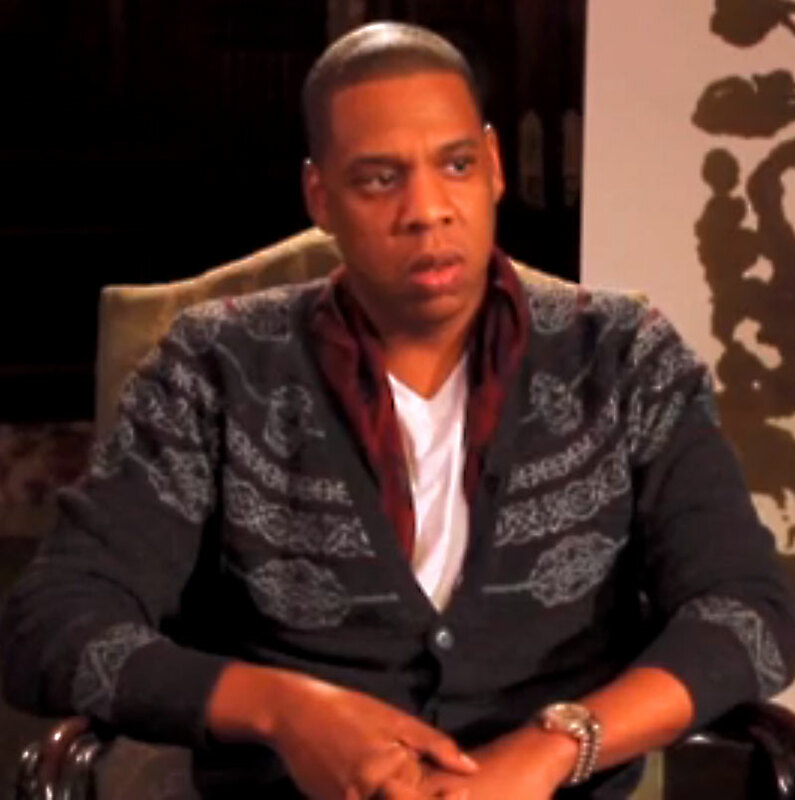 The video below is absolutely fascinating as it features Jay Z and Warren Buffett being interviewed by Stephen Forbes. 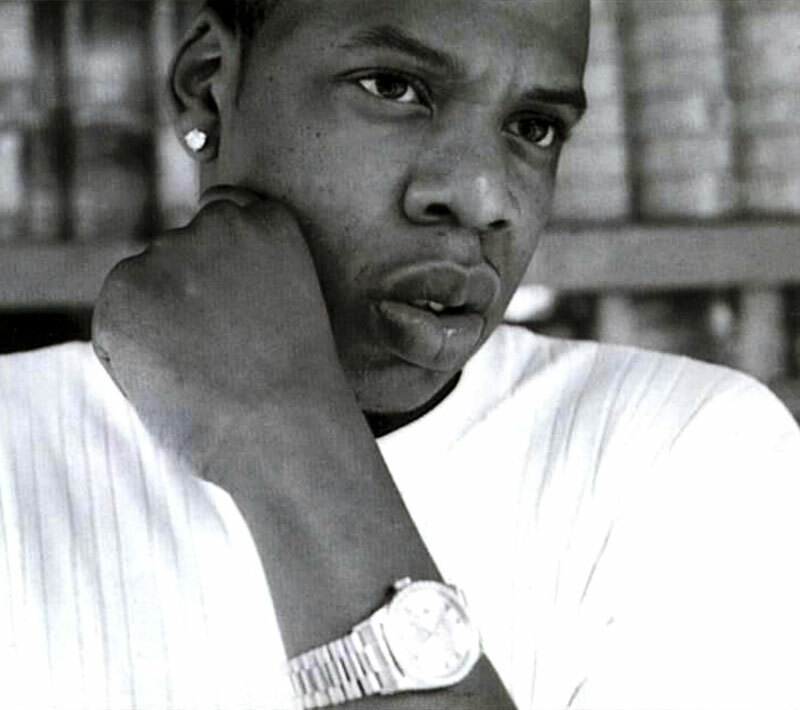 One interesting thing Warren Buffett and Jay Z have in common is they both wear Rolex Day-Date models. 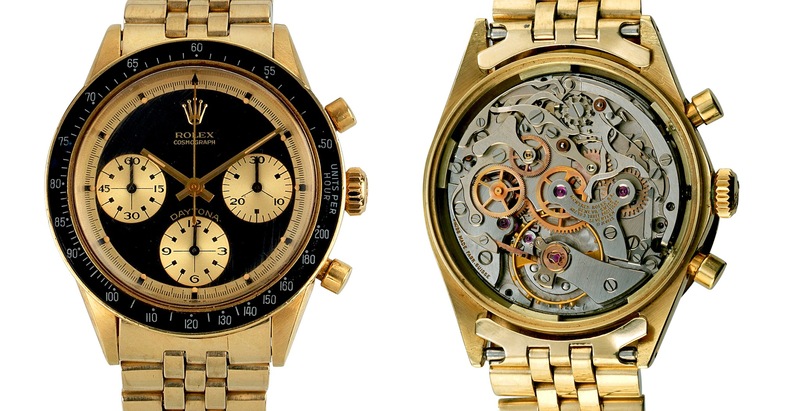 The yellow-gold Rolex Daytona pictured above and below is being put on the market for the first time. 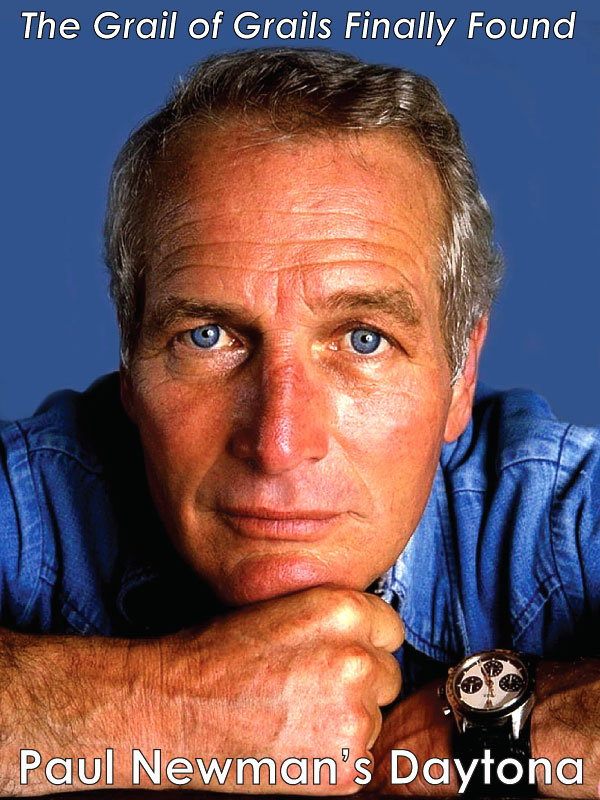 A rare reference of the Rolex Daytona Paul Newman, one of the most desirable watches in the world, will be for sale at an auction in Italy on Nov. 30 at 5pm, Central European Time (11am EST). 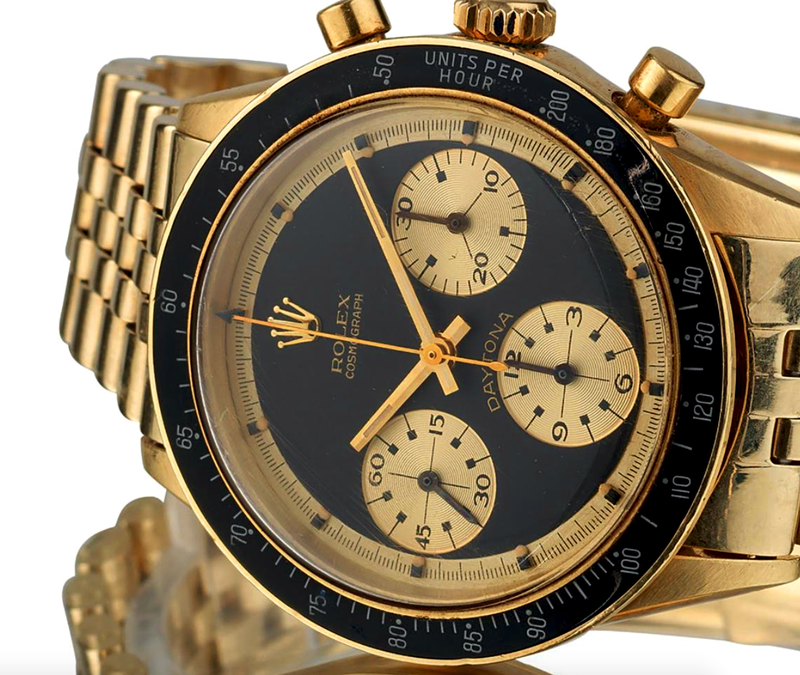 The 1969 Rolex is being auctioned off by Pandolfini Casa d'Aste, a 90-year-old Italian auction house that mostly specializes in the sale of rare furnitures. 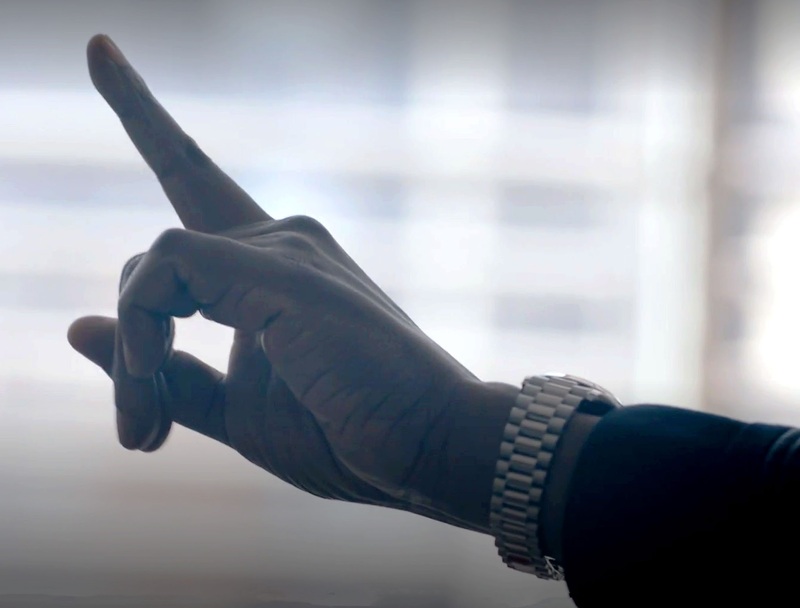 Bidders can register and bid online through the auction's house app. 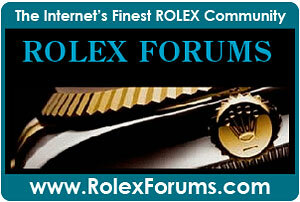 The watch for sale is a Rolex Daytona reference 6241 in 14kt yellow gold. 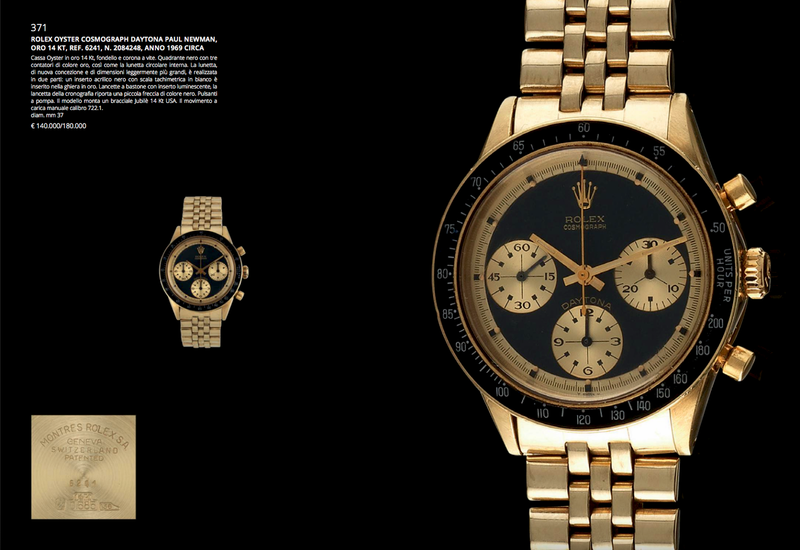 This reference, which was nicknamed the John Player Special, is highly sought after, especially the 14kt version. 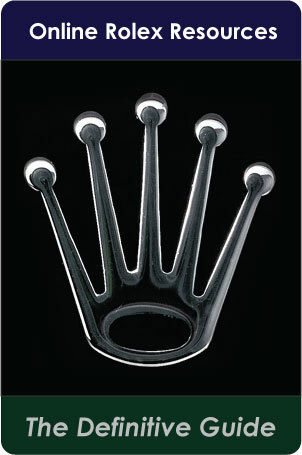 Notice the "14k" engraved in the center picture below and the reference "6241" in the right picture. Manufactured between 1960 and 1969, the reference 6241 has about 2,000 steel examples, but only 300 in 18kt yellow gold and less than 400 in 14kt yellow gold! 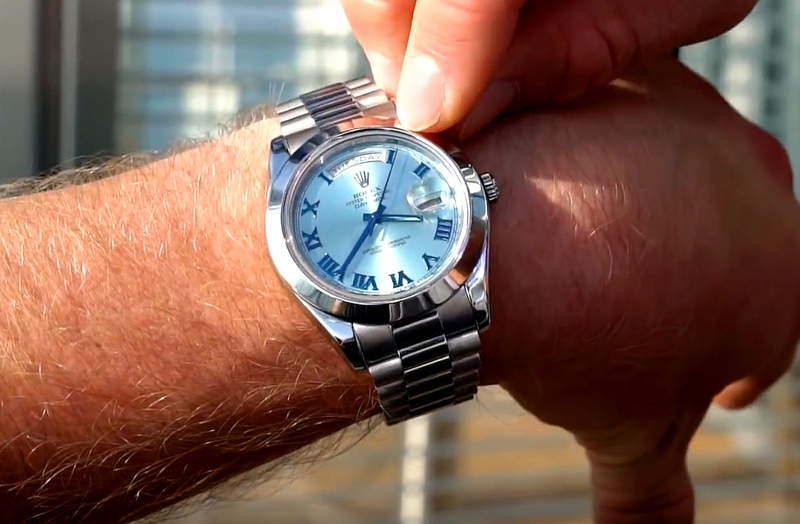 On the wrist below, the actual 6241 for sale. 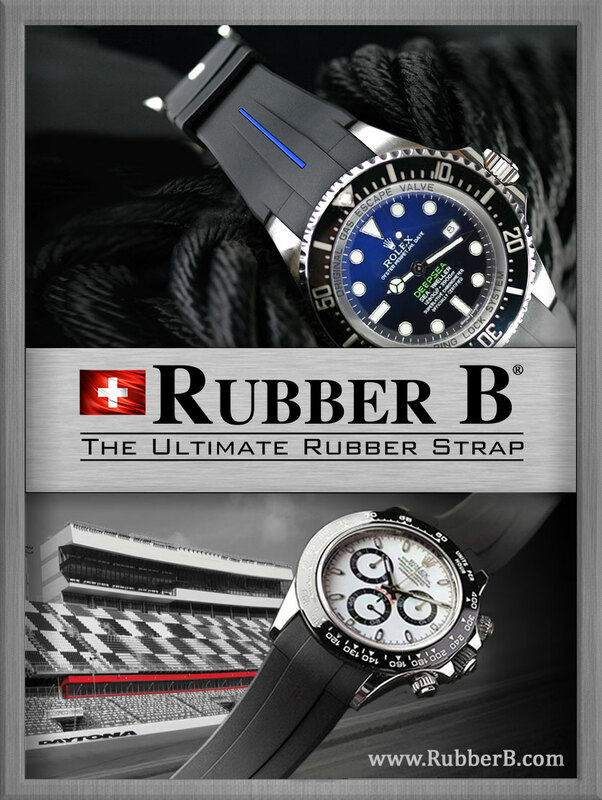 The watch's nickname, John Player Special, was born as a result of the John Player Special cigarette brand's sponsorship of the Lotus Formula One driven by legendary F1 champion Ayrton Senna. 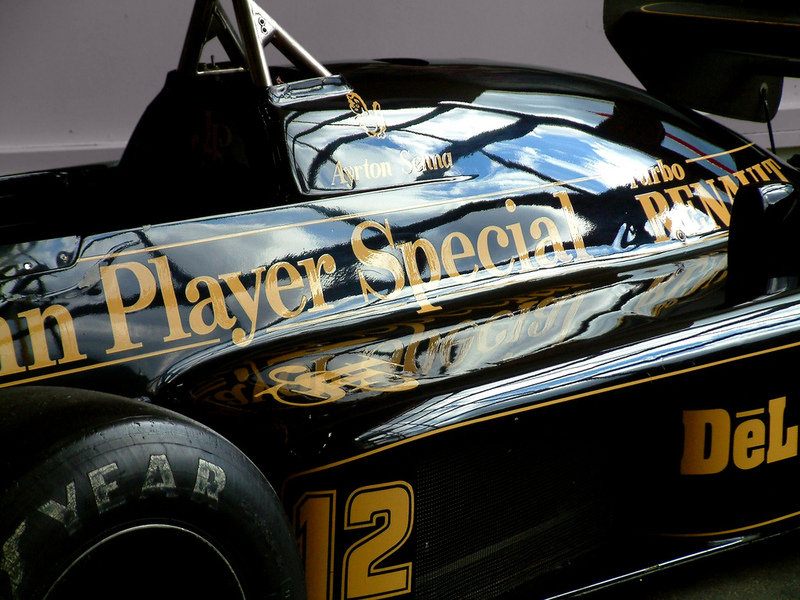 Even today, this car is remembered as one of the finest Formula One cars ever made for its black and gold livery that gave it a look of particular elegance. 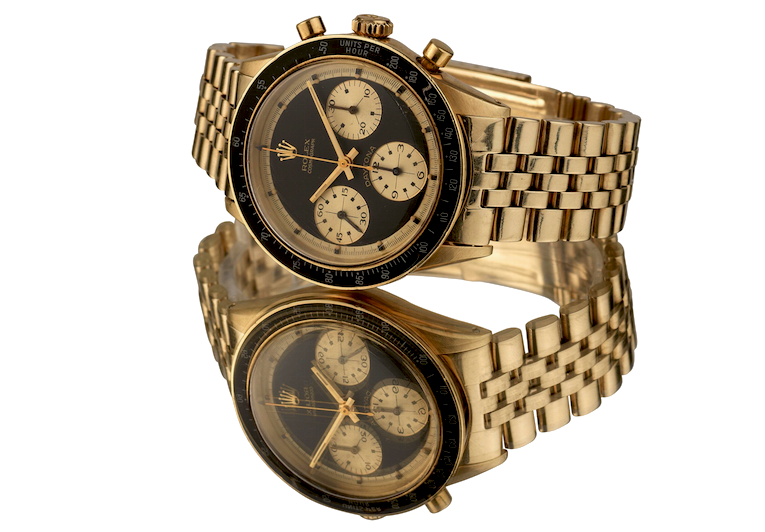 The 6241 was designed for the American market with the Paul Newman dial. 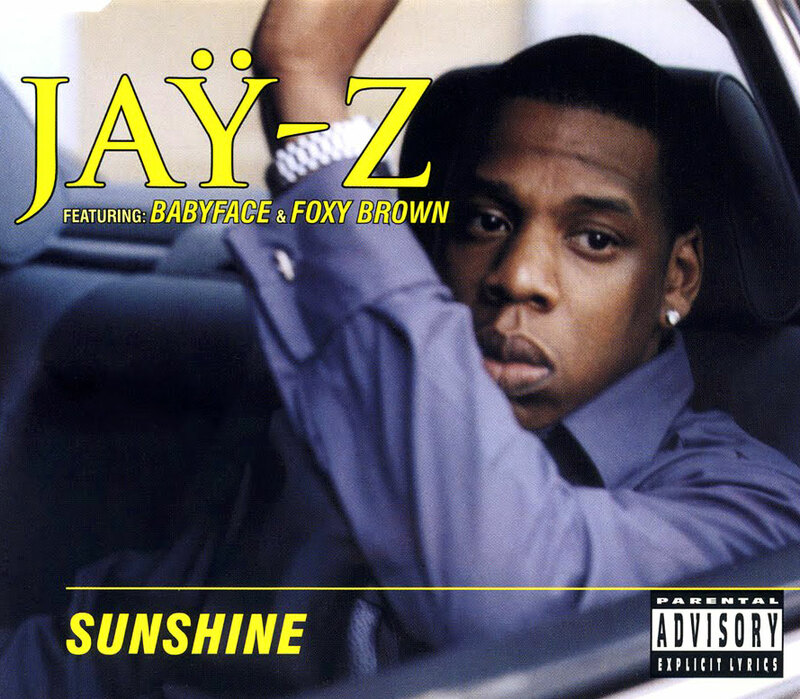 Only 400 were made in the 14kt version. Below a page, in Italian, from the auction catalog. 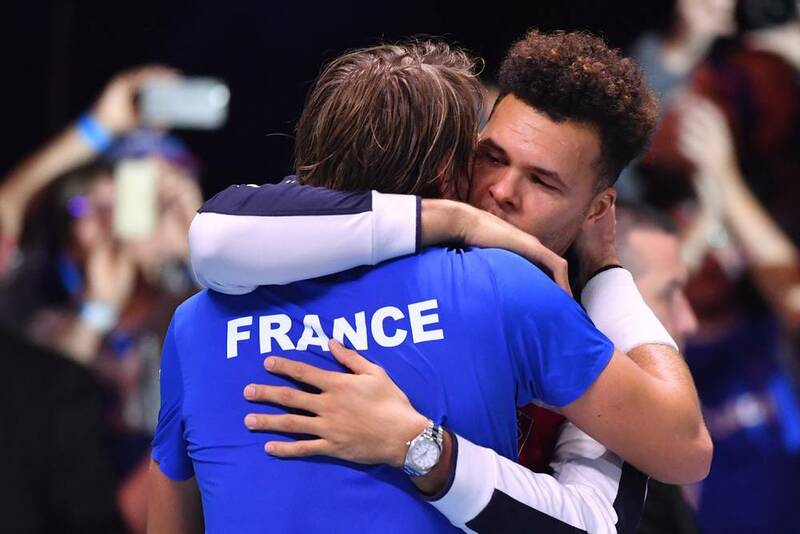 France on Sunday won its 10th Davis Cup after a suspenseful 3-to-2 victory over Belgium in the yearly international team tournament in tennis. I was in France during the Thanksgiving holiday weekend and could feel the excitement first hand. Bars and bistros, which usually have soccer games on the television, now were tuned to the Davis Cup. While most were following the small yellow ball, I noticed that French players waiting on the bench were wearing Rolex watches. 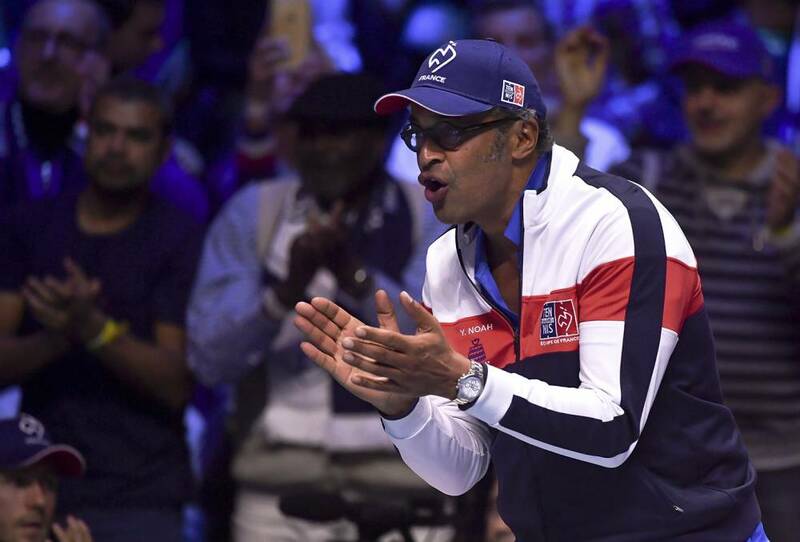 As a tennis fan who grew up in France when Yannick Noah won Roland Garros, I was happy to see him as the captain of the team... wearing a Daytona! 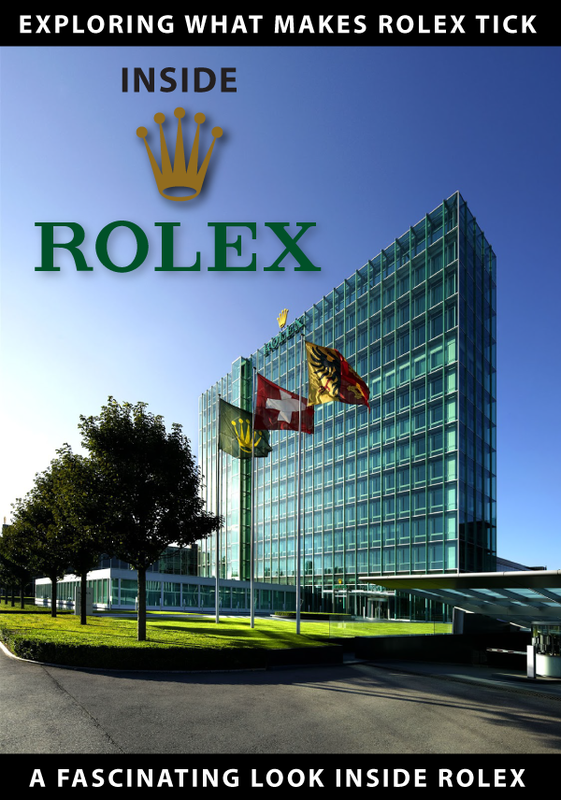 I still play today, and I love Rolex also because it's a leader in tennis sponsorship, a tie-in that will mark its 40th anniversary next year. 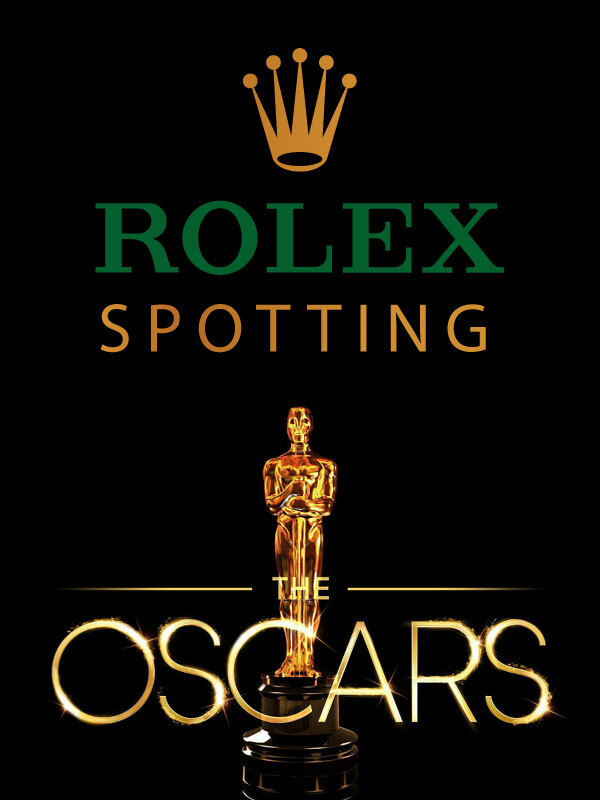 Not only the Rolex brand graces the tennis courts during Wimbledon, the Australia Open, Shanghai Masters, Monte Carlo Masters, the Laver Cup, the NITTO ATP Finals and Indian Wells. 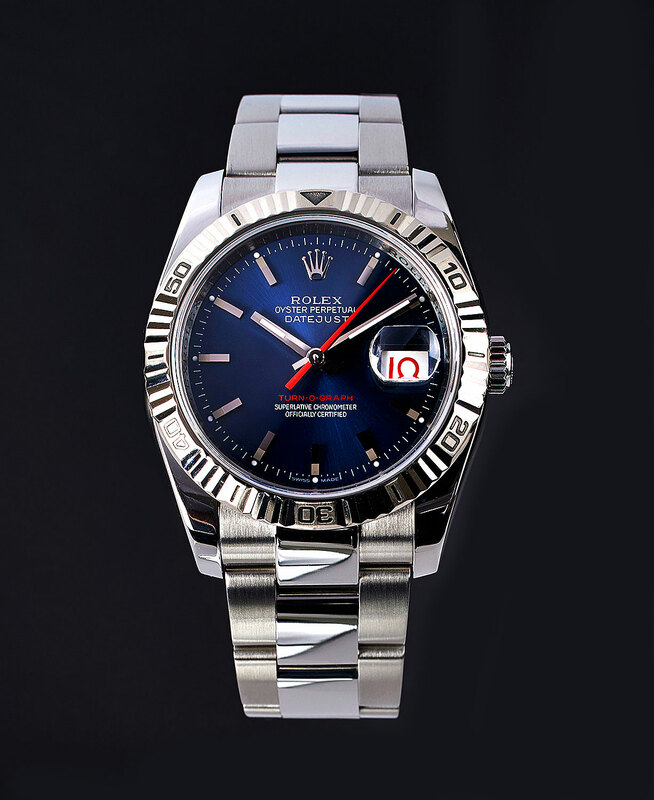 But a Rolex timepiece also graces the wrists of the best tennis athletes like Roger Federer or, below, French player Jo-Wilfried Tsonga who sports a 41-mm Datejust at the Davis Cup Sunday. But the real hero is Lucas Pouille who sealed the victory for France in a three-set match against Belgian Steve Darcis. 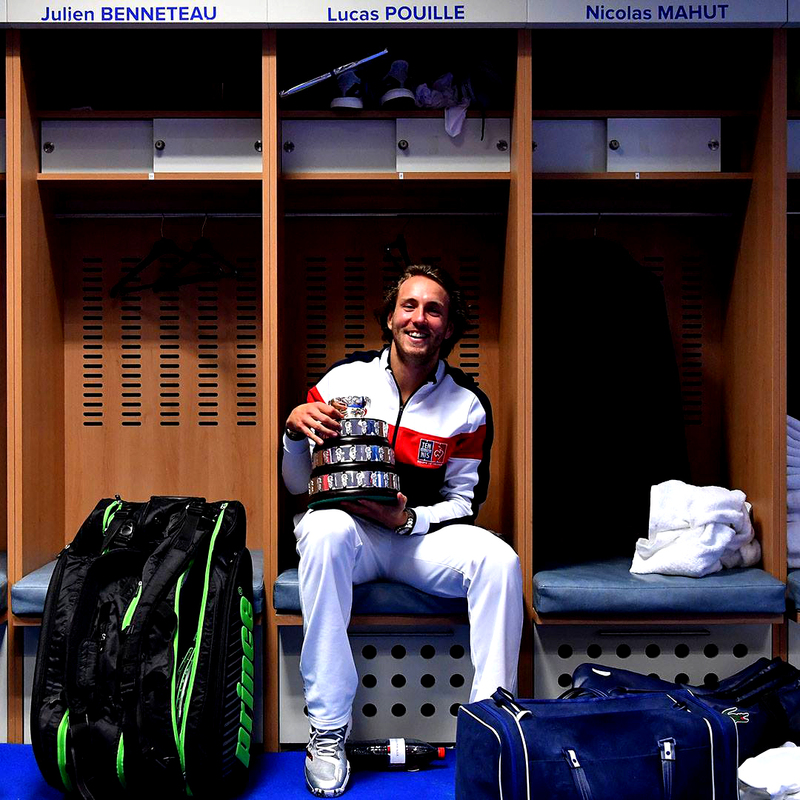 After a 16-year Davis Cup title drought, France is finally bringing the Davis Cup home! 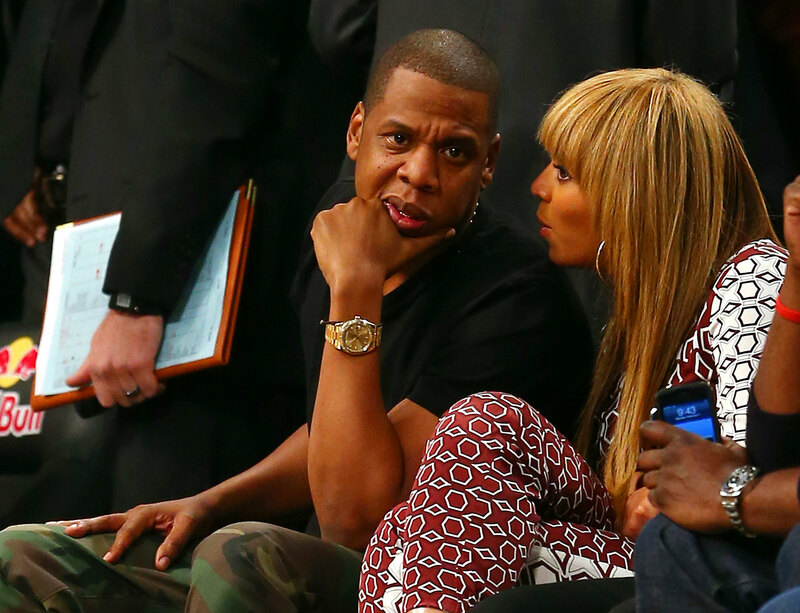 Like his team captain, he wears the very cool, very masculine Rolex Daytona. 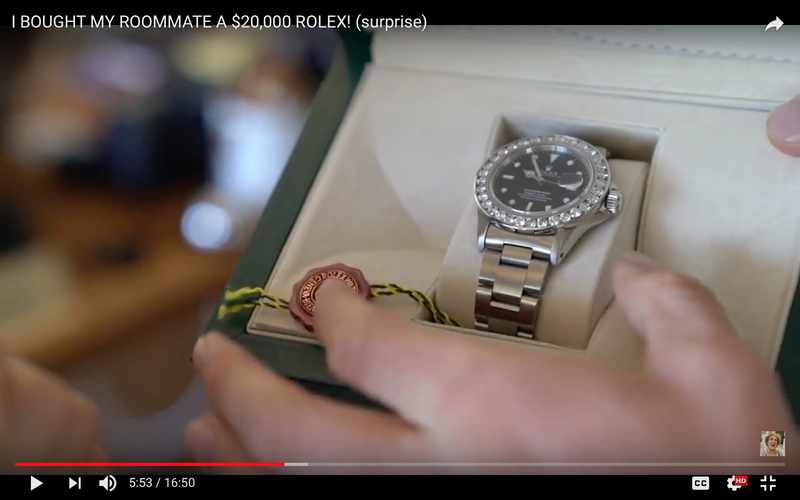 Lucas Pouille is not a Rolex brand ambassador like Roger Federer or Jo-Wilfried Tsonga but his white dial, ceramic Daytona never left his wrist during the tournament. 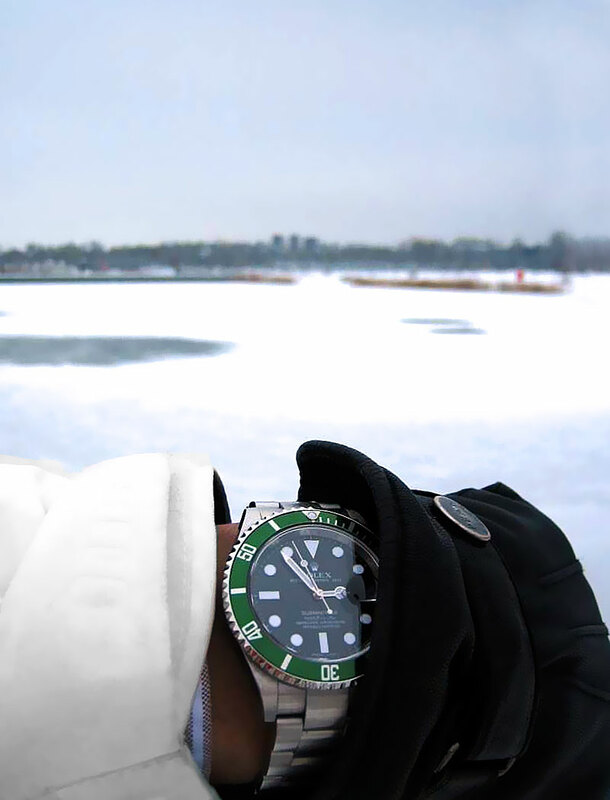 Christian from Munich, Germany took this hand-in-glove wrist shot of his LV Submariner outside on a snow covered day. 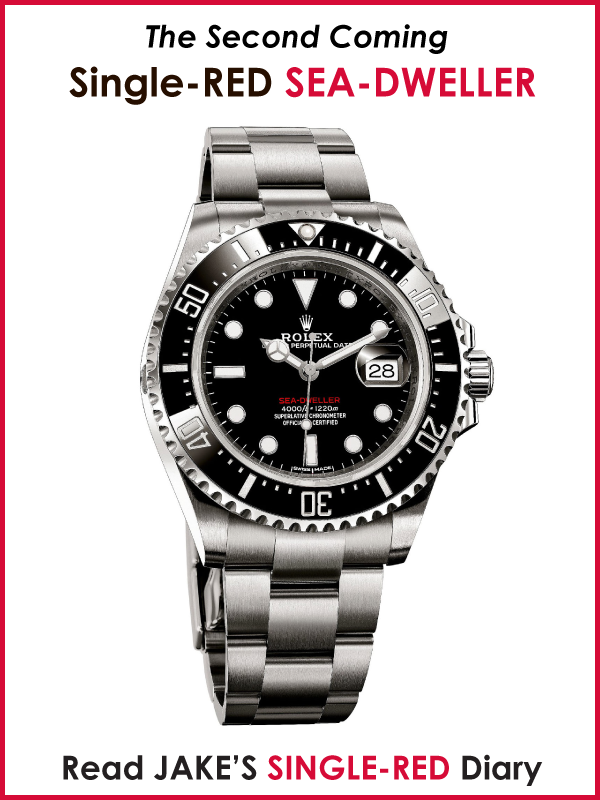 The LV Submariner remains one of my favorite Rolex watches of all-time. 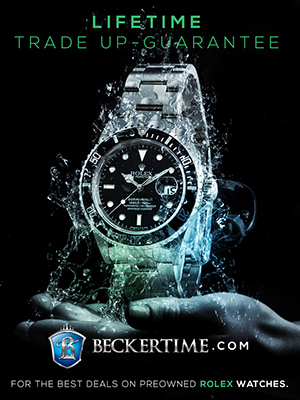 Ten years ago, when I started publishing Jake's Rolex World, I wanted to learn everything I could about Rolex's founder, Hans Wilsdorf. The challenge was that history seemed to have forgotten him, which made no sense to me. 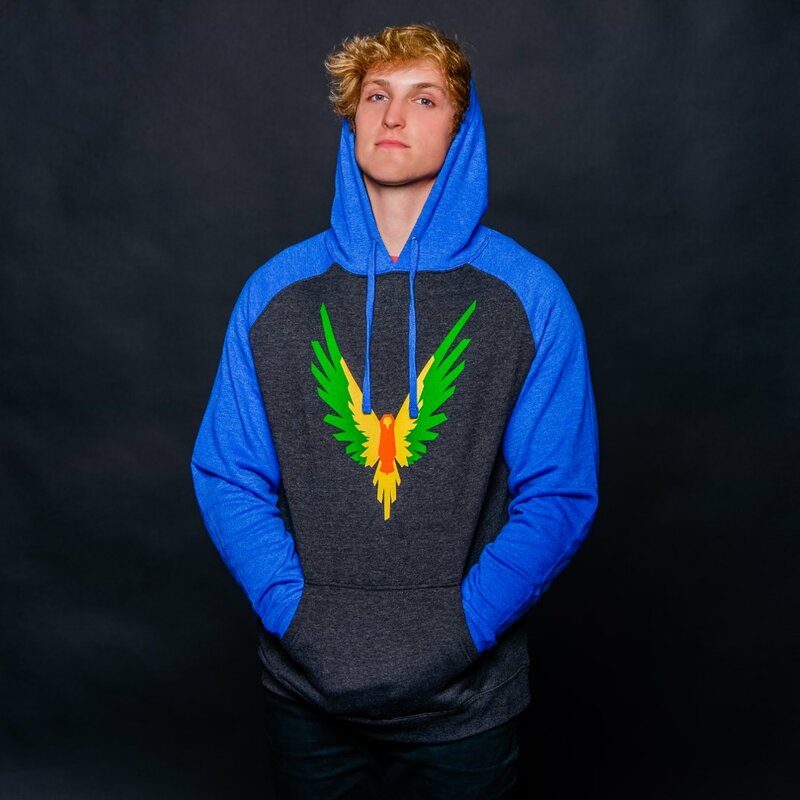 There was only one photo of him that had ever been published, and that drove me crazy! 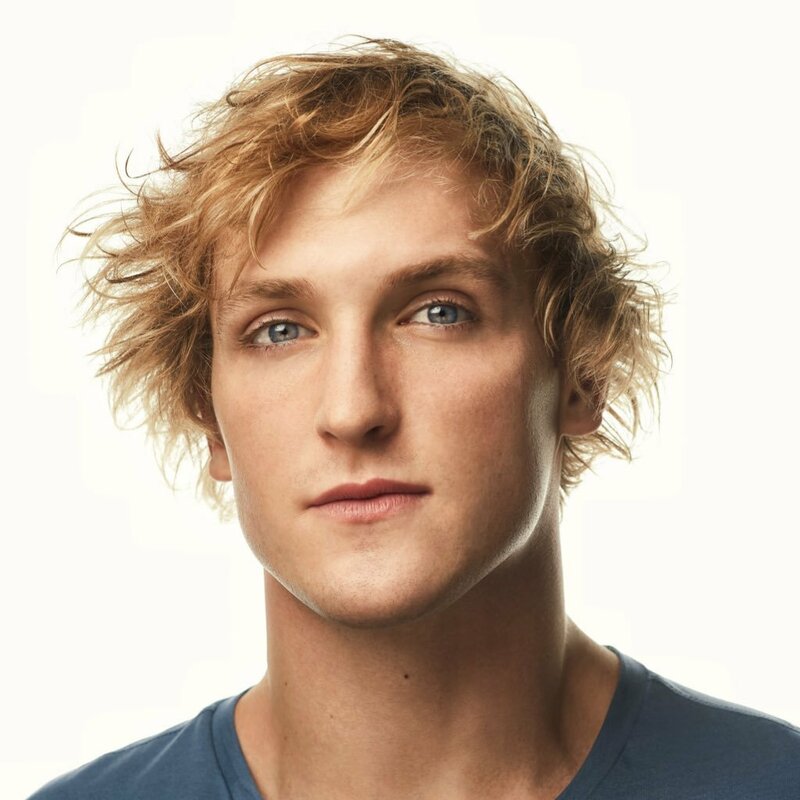 I thought this was blasphemous, and began my eventful exploration to try to learn all I could about his amazing career, and to share it with you, my readers. 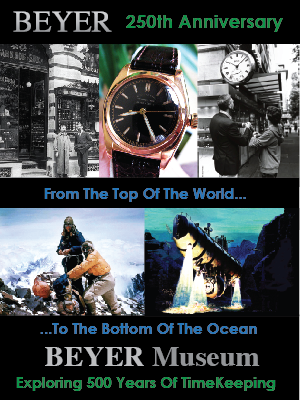 This resulted in my publishing "The Complete History Of Rolex Leadership: Part 1: The Hans Wilsdorf Years." The subtitle for my story was "Ghost In The Machine", as every Rolex ever made has a significant amount of Hans Wilsdorf's DNA inside it, yet he seemed to never have existed. 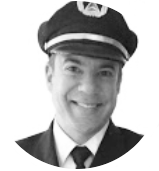 Today, I am so excited to share the above video with you, which is the only video I know of that shows Hans Wildorf speaking. The video is in French, but you get a tremendous sense his personal disposition and manner of speech. Enjoy!!! The video was shot on September 19, 1959, and Hans Wilsdorf passed away less than a year later on July 6, 1960. Hans Wilsdorf: For 40 years. 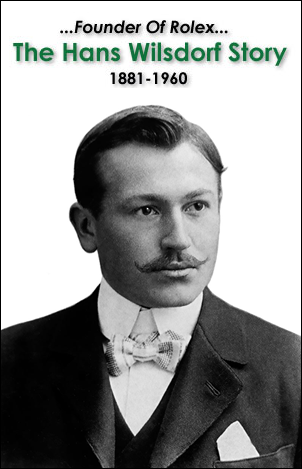 I came to Geneva after the first war in 1919, with some absences due to trips I made around the entire world. 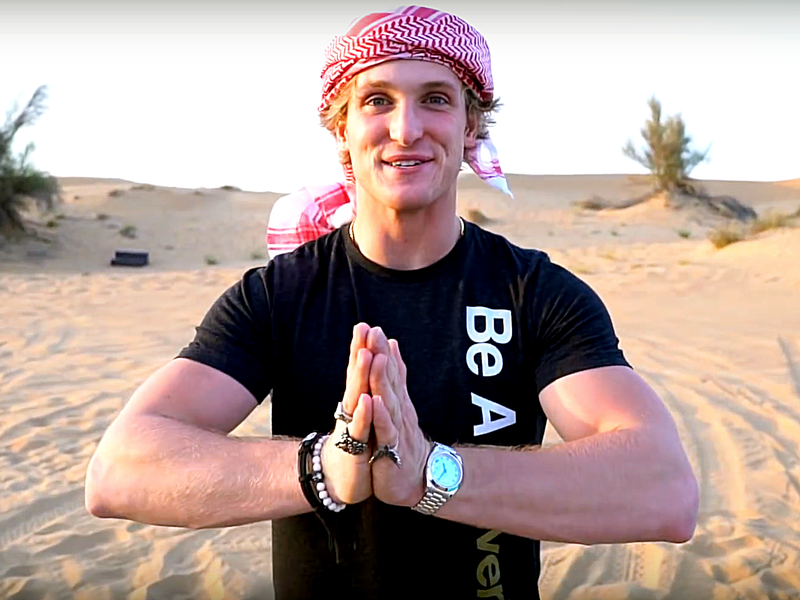 I've traveled a total of three times around the globe, to every nation in the world. 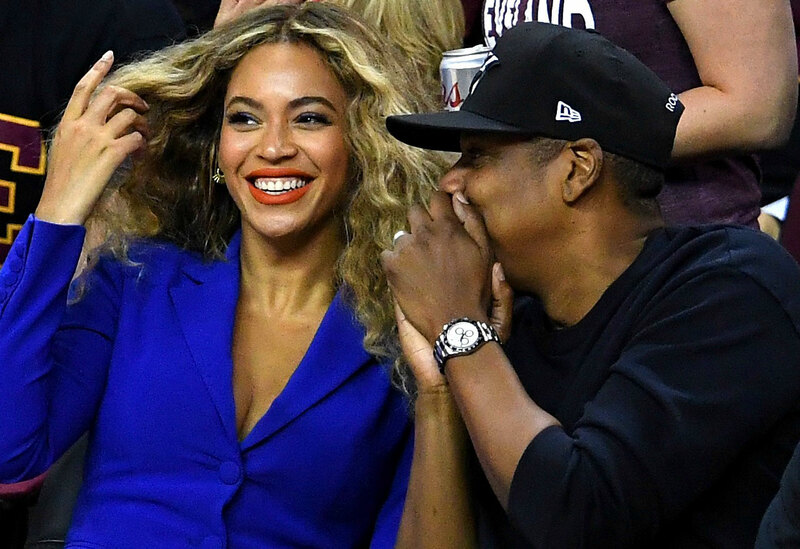 I know a little bit something about all people and their taste. 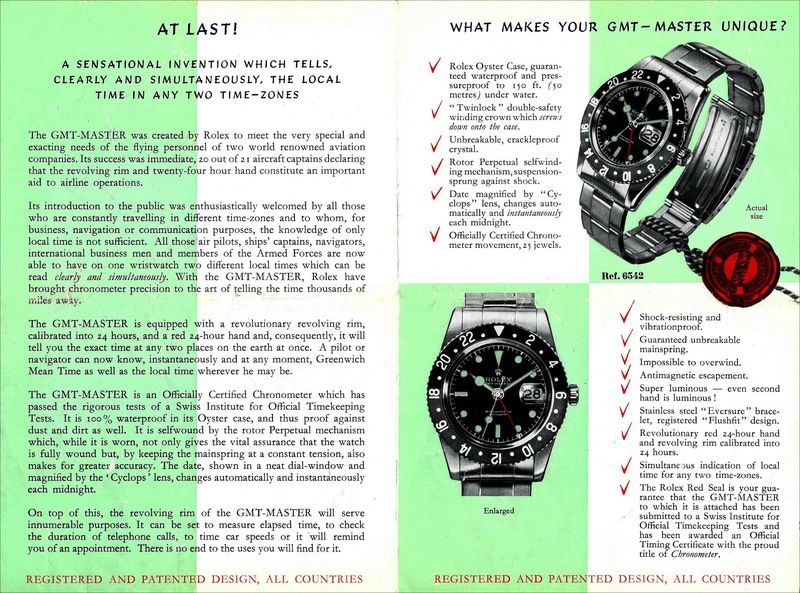 This helped me not only to understand the needs to make watches which… (Interrupts Mr. Wilsdorf) I see. 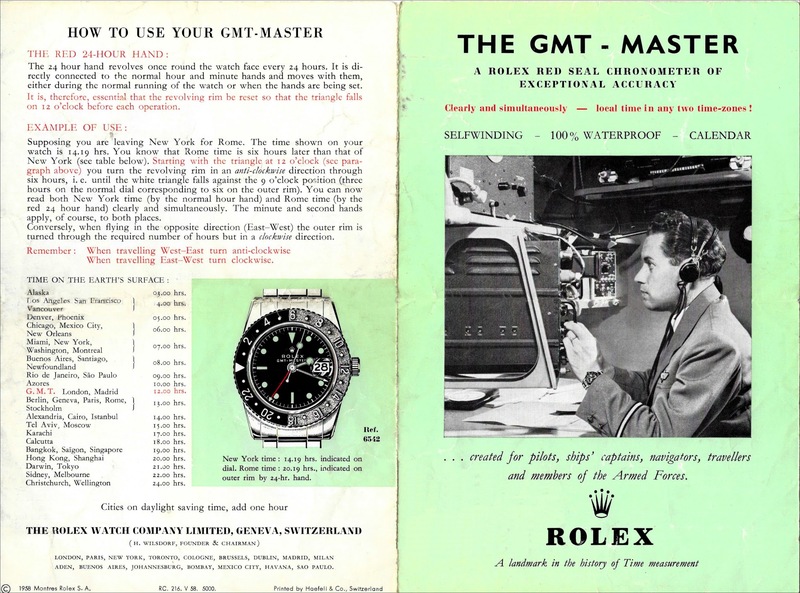 Your watch is a wristwatch and I believe we can say that you helped diffuse the wristwatch. 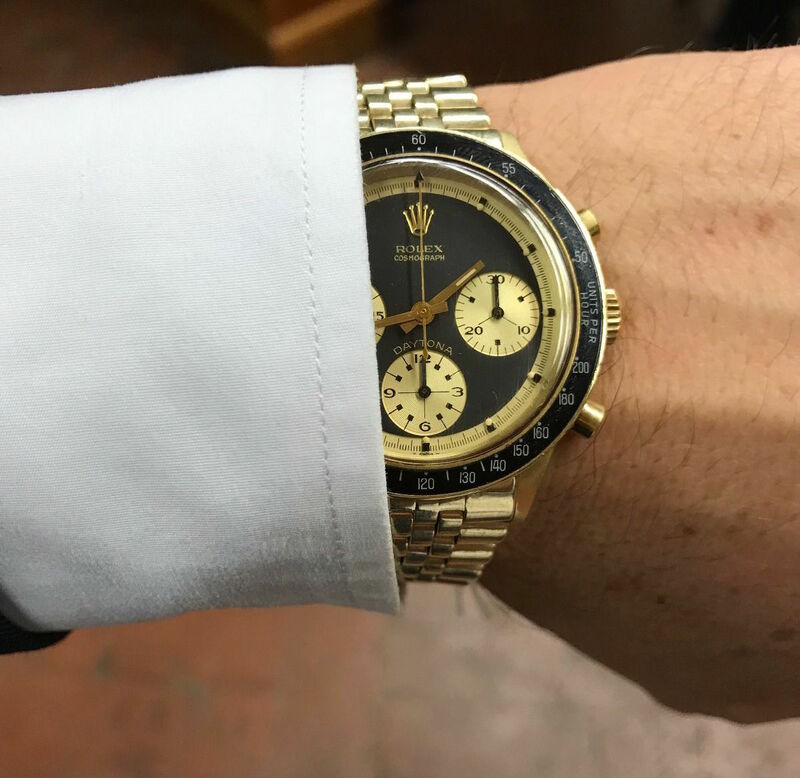 Italian Rolex aficionado, Pucci Papaleo just published this fascinating video interview in which Aurel Bacs addresses "The Million Dollar Question" or "Who bought Paul Newman's, Paul Newman? ", kind of. 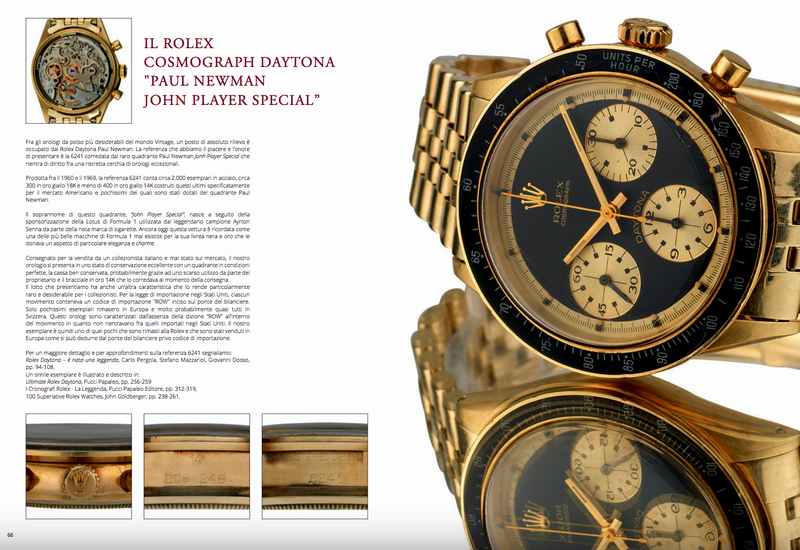 I have covered the auction of Pual Newman's Daytona extensively and speculated on who bought Paul Newman's Daytona for close to $18 Million. Aurel is a charismatic, intelligent man, and I highly recommend watching his interview. 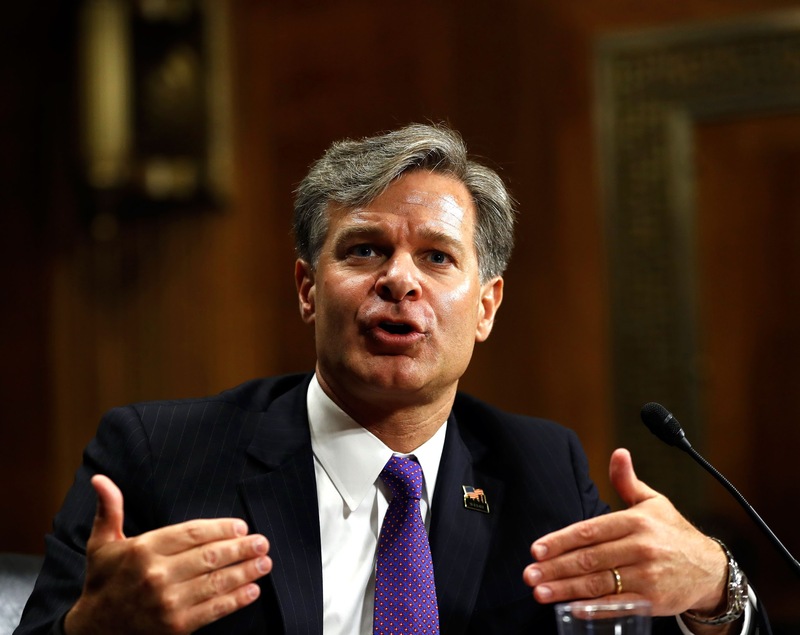 Christopher Wray assumed office as the director of The FBI several months ago on August 2, 2017. The FBI conducts many investigations in the United States as well an in international territories. 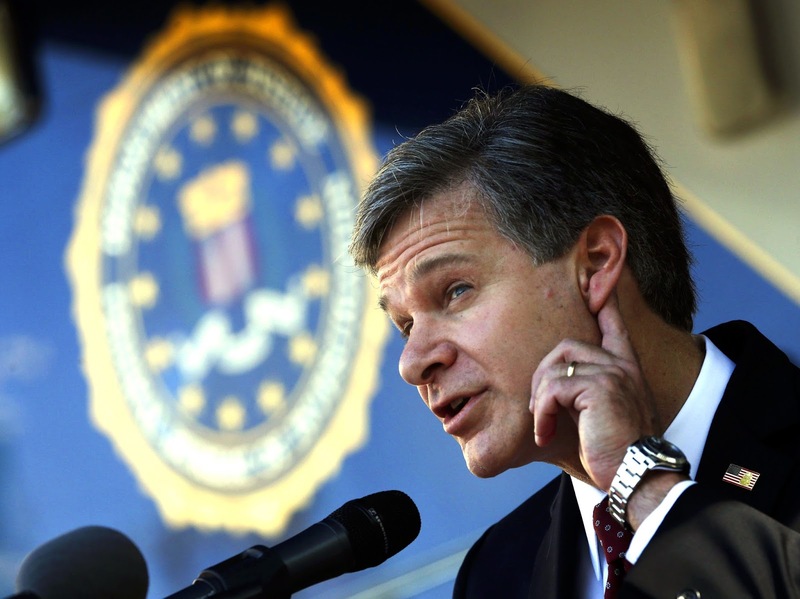 The FBI has offices in 60 different foreign countries and employs a total of 35,000 FBI agents. 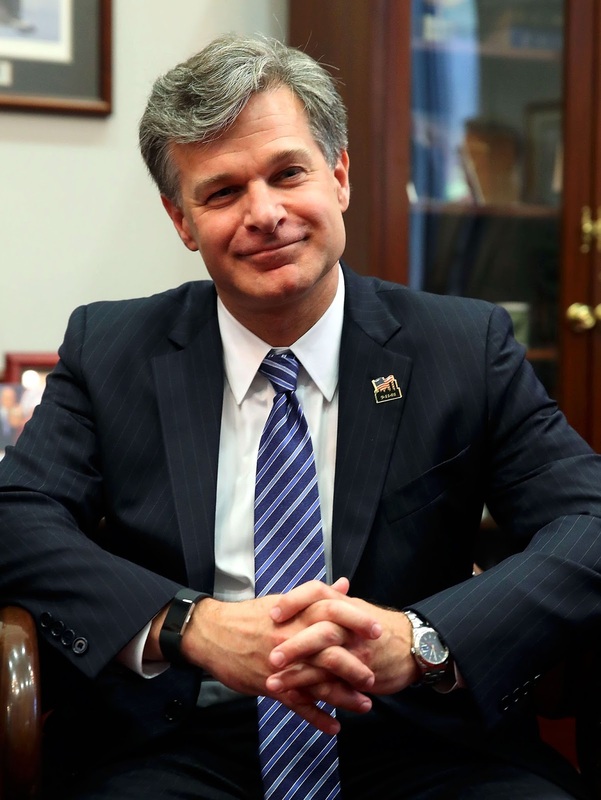 The director of The FBI is considered to be the top cop in the land. 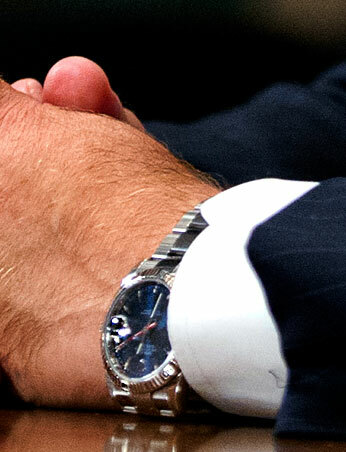 FBI Director Christopher Wray is pictured above and below wearing his Rolex Turn-O-Graph which features a cobalt blue dial with a red second hand. 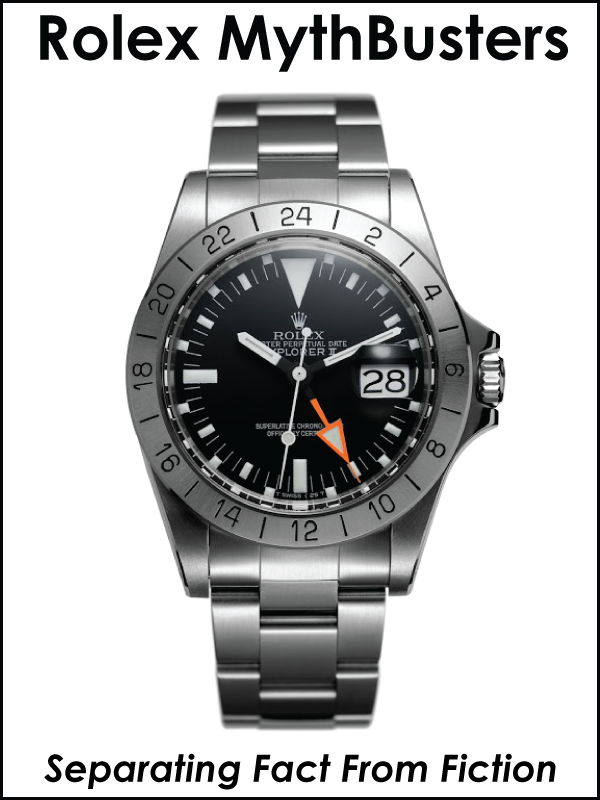 The photo below is the same model the FBI Director is wearing on his wrist. 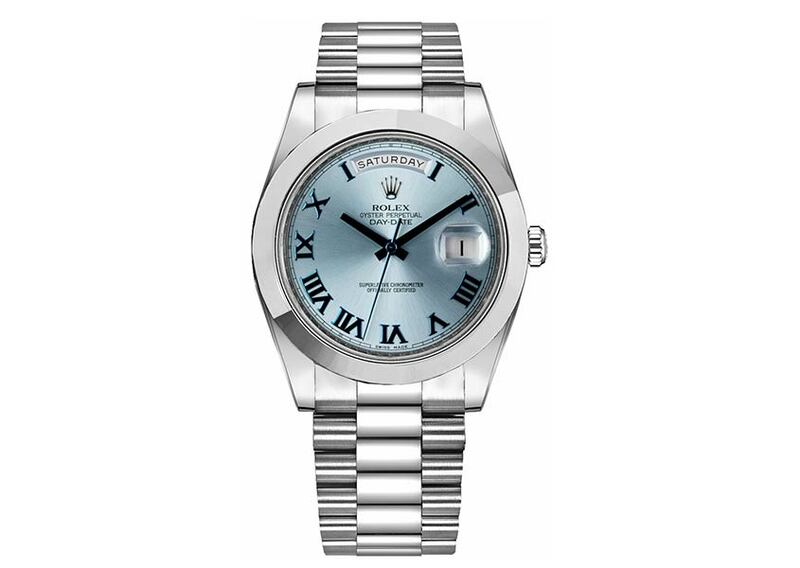 The Rolex Turn-O-Graph is a Datejust variant that is basically a standard Datejust with an addition of a spinning fluted white gold bezel, that has 10-minute markers. 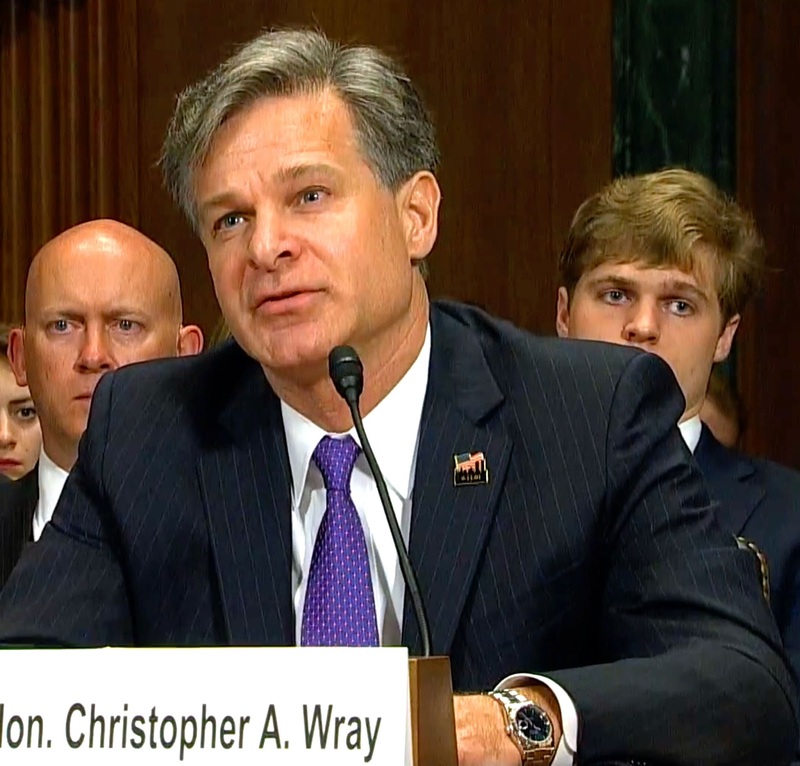 The video below is from FBI Director, Christopher Wray's Senate Confirmation hearings, and it's absolutely fascinating!!! 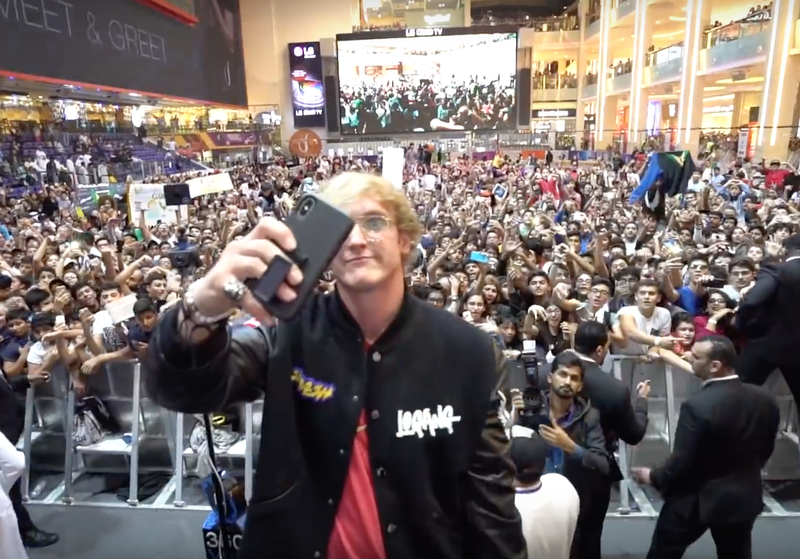 The whole video is about 4.5 hours long. 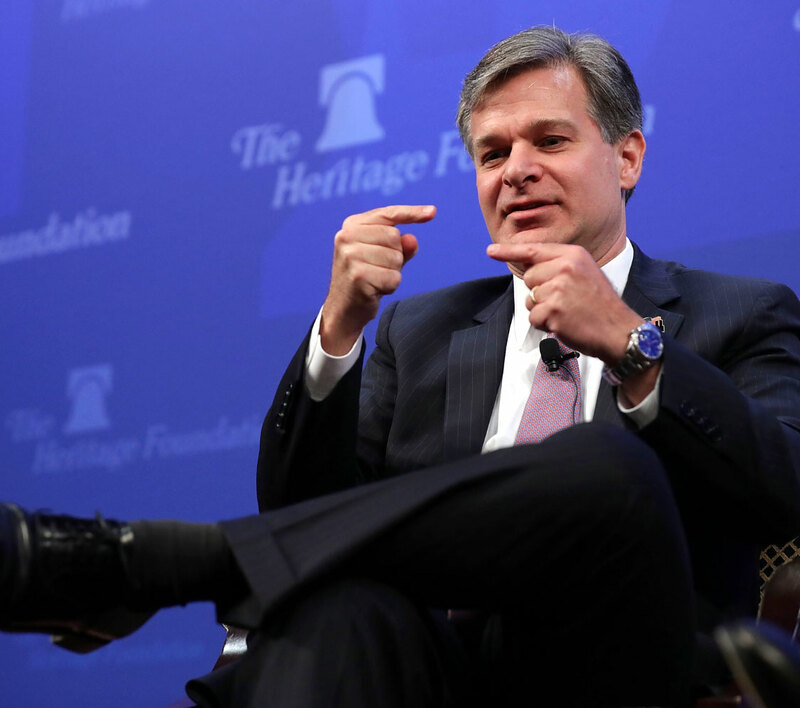 One of the most interesting details—at least to my way of thinking—is how paranoid the Senators are about giving the Director so much power, as they often bring up how FBI founding director J. Edgar Hoover had and abused his absolute power.